How to Access: Arcana town or the Maple Guide (Level 225) via NPC Escaped Stone Spirit. 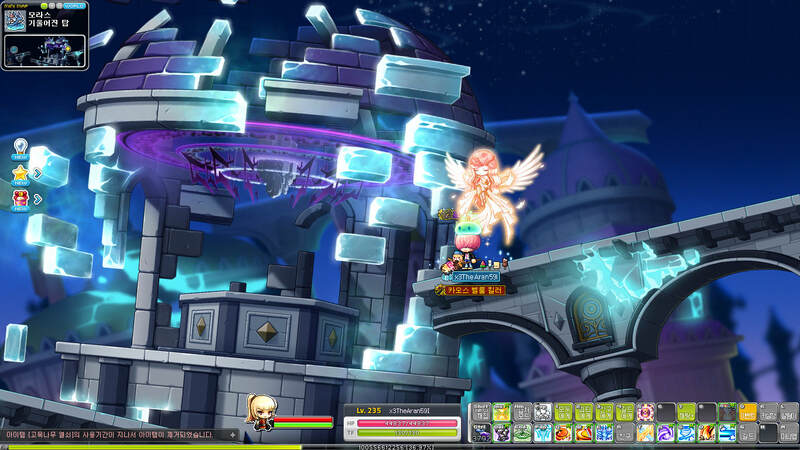 A new dungeon has been added to Arcana: Spirit Savior! In Spirit Savior, you need to save as many trapped Rock Spirits as possible within the time limit. At the same time, you also need to avoid the Toxic Stalker that appears. 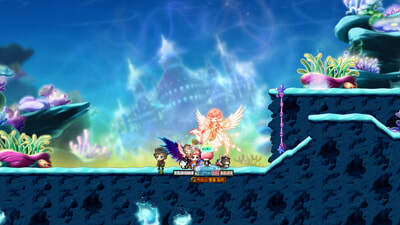 Characters who have completed the 'The Harmony of the Forest' quest can enter the Spirit Savior map by talking to the Escaped Rock Spirit in the Grove of the Spirit Tree map. After destroying a trap holding a Rock Spirit, press the NPC Chat key and the spirit will begin to accompany you. If you bring the Rock Spirit to the center of the map safely, you will receive Rescue Points based on the number of spirits saved up to 2,500 points (5 spirits) at a time. 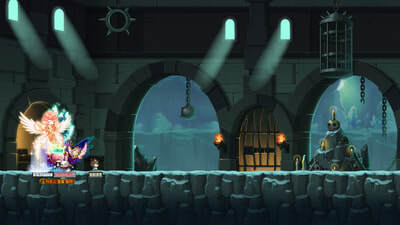 When you first enter the dungeon, you are given a set amount of defense. If you are hit by monsters, your defense points will decrease, If it hits 0, you will drop all Rock Spirits that are accompanying you. In addition, for every Rock Spirit that is currently accompanying you, damage to your defense will be increased. You can enter the Spirit Savior dungeon three times per day. When the time limit is up, you will acquire one Spirit Coin per 1,000 Rescue Points. Three Spirit Coins can be traded for one Arcane Symbol: Arcana. You can acquire 30 Spirit Coins per day. Link Skill: At Lv2, deals extra damage to foes weaker than you. Attacks against weaker opponents deal +6% damage. Attacks against monsters afflicted by Abnormal Statuses deal +6% damage. Click here to learn more about Cadena. 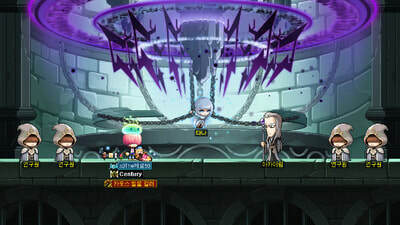 ​Welcome new character Cadena to Maple World! Cadena is the only survivor of Magnus’s attack on the Heliseum royal family. 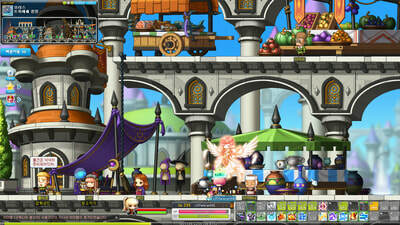 You will begin your adventure as Cadena in the new area of Grandis, Savage Terminal. Savage Terminal is a back-alley town where mischief is common and shadowy characters gather. The notorious Shadowdealers have an outpost here. Cadena was raised by the Shadowdealers and performs several missions in Savage Terminal. Characters other than Cadena can go to Savage Terminal using Pantheon’s movement portal or a Hyper Teleport Rock. Cadena has a streetwise edge and excels at close combat. She utilizes Thief equipment, and her main stat is Luck. Her primary weapon is a Chain, and her secondary weapon is a Warp Forge. Lv. 60: Silver Agent Emblem: STR/DEX/INT/LUK +5, Weapon ATT/Magic ATT +1. Lv. 100: Gold Agent Emblem: STR/DEX/INT/LUK +10, Weapon ATT/Magic ATT +2. Lv. 10: Back Alley Shadow: MaxHP/MaxMP +50. Lv. 30: Big City's Shadow: MaxHP/MaxMP +100. Lv. 60: Grandis Shadow: STR/DEX/INT/LUK +1, MaxHP/MaxMP +150. Lv. 100: Shadow of Two Worlds: STR/DEX/INT/LUK +2, MaxHP/MaxMP +200. Lv. 200: Pioneer of Destiny: Attack Power +3. Immerse yourself in the brand-new story of the ‘Winter Bard’, the fourth episode of the Grand Athenaeum theme dungeon! Grand Athenaeum allows players Lv. 100 and above to relive important events from Maple World’s history. Enter the Dimensional Mirror and speak to NPC Skylark Rita to enter a living storybook. 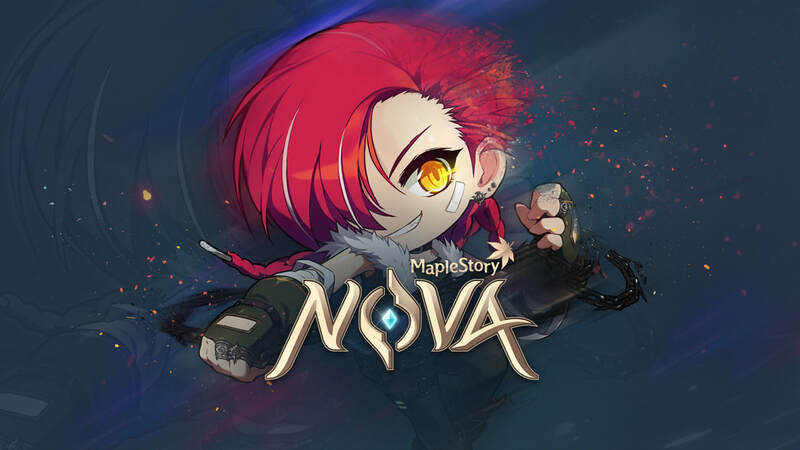 Become part of the story as you learn about the forgotten hero whose fate is connected to the Six Heroes of Maple World! Grand Athenaeum allows players Lv. 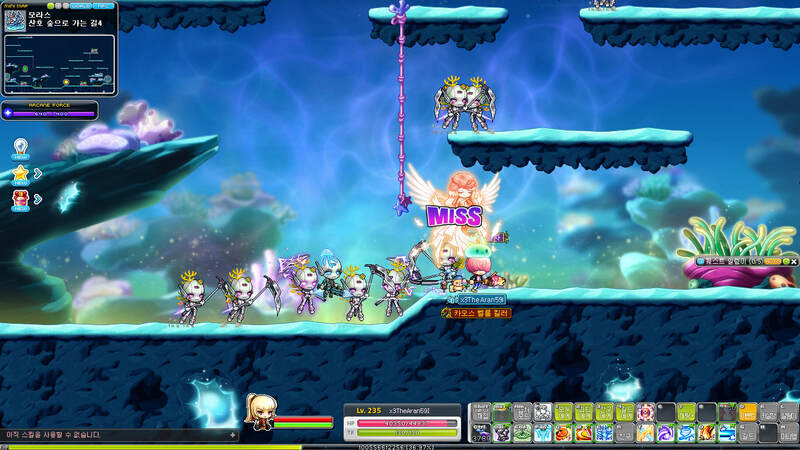 100 and above to relive important events from Maple World’s history. Enter the Dimensional Mirror and speak to NPC Skylark Rita to enter a living storybook. You can play through the stories in Grand Athenaeum in any order. 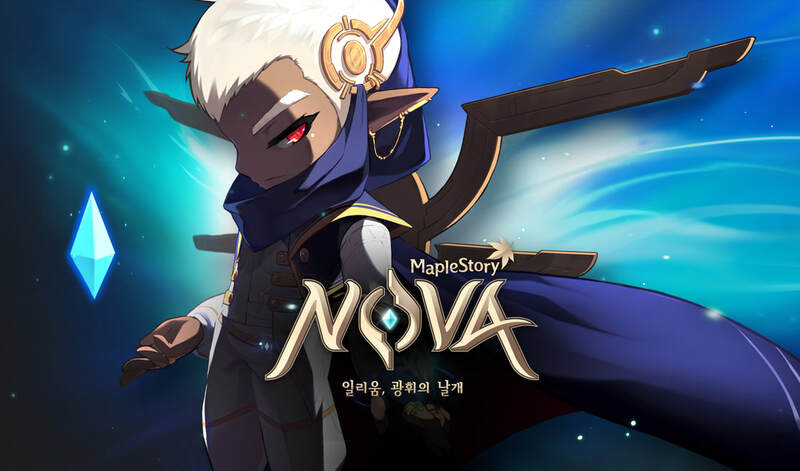 Become part of the story as you learn about the forgotten hero whose fate is connected to the Six Heroes of Maple World. Fight your way through the snow and ice of El Nath, and explore the dangerous Lion King’s Castle! The 5th job keeps getting better with the addition of new 5th job skills for all character job categories (Warrior, Magician, Bowman, Thief, and Pirate). Become more powerful than ever with skills including Ethereal Form, which allows Magician jobs to temporarily move to another dimension to escape taking too much damage. Pirate jobs can push their weapons to the max with Overdrive to gain more attack for a limited amount of time and many more! [Level 25] Consumes 3000 HP, dealing 825% damage 6 times up to 15 enemies. After attacking, you will absorb Erda and each monster hit reduces the skill cooldown by 1 sec. Cooldown 45 sec. [Level 25] Consumes 5% HP, Status Resistance: +75 and prevent you from being knockback by any form of attacks from enemies. Damage +3% when hit, stacks up to 10 times. Duration: 35 secs. Cooldown: 240 secs. Example: When skill is used, Vellum/Magnus knockback won't knock you back. 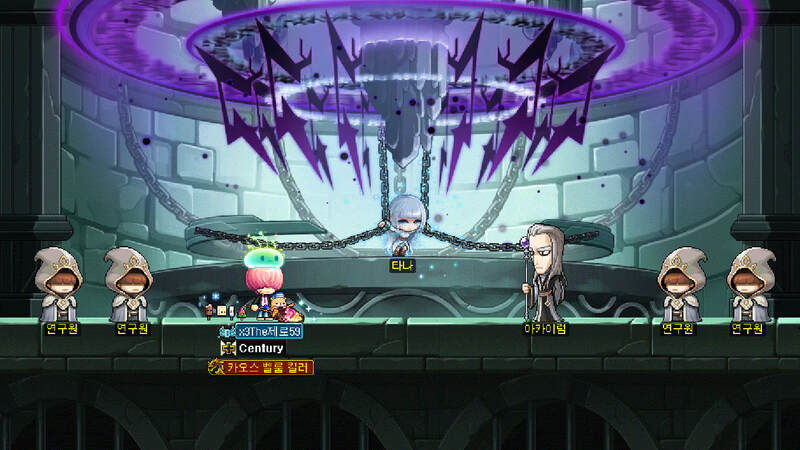 [Level 25] Consumes 1000 MP, when skill is activated, you will not receive any damage and knockback, you will consume 5250 MP instead of the damage. If there is no MP, it will consume 1750 HP instead. Duration: 3 secs. Cooldown: 54 secs. [Level 25] Consumes 500 MP, your Critical Rate will be able to exceed 100% and Critical Damage increases 45% of your Critical Rate. Attack skills will not be affectted by additional Critical Rate. Duration: 30 secs. Cooldown: 120 secs. Example: Clean 90% Critical Rate, 75% Critical Damage. With buffs + Critical Reinforce = 120% Critical Rate, (55% of 120) = 66%, so 66%+75% = 141% Critical Damage for 30 secs. Phase 1: Total Evasion Rate: -20%, Damage Taken: +10%, Final Damage +12%. Phase 2: Total Evasion Rate: -90%, Damage Taken: +40%, Final Damage +35%. [Level 25] Consumes 1750 HP, increases your attack by 50% based on your weapon's base attack. Duration: 30 secs. After the skill's duration ends, reduces your attack by 15% based your weapon's base attack for the remaining cooldown. Cooldown: 65 secs. ​Meet brand-new character Illium, a descendant of the magical Flora race which was driven apart by civil war. Illium himself does not have strong magical abilities, and is teased for this. While working on his magic, Illium encounters the Crystal, ancient artifact of the Flora. The Crystal awakens a newfound power within Illium, strengthening his magic and transforming him into a natural leader. Illium utilizes Magician equipment, and his main stat is Intelligence. His Lucent Gauntlet lets him craft magical weapons and harness the power of the Crystal. He uses his Lucent Wings to fly. Illium has powerful skills that deal massive damage to enemies or enhance the abilities of his companions! Click here to learn more about Illium. ​Illium has arrived, using powerful crystal magic and mechanical creations! Track your in-game progress with new Maple Achievements! Begin by accepting the quest '[Required] Begin Maple Achievements' from the quest notifier on the left side of the screen. Once the quest is complete, the Maple Achievement system will be unlocked. 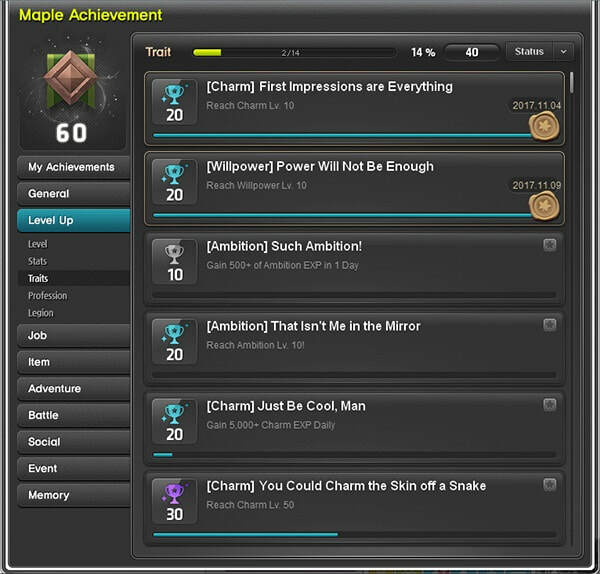 Maple Achievements can be accessed from the menu or by keybinding it using its quickslot button. 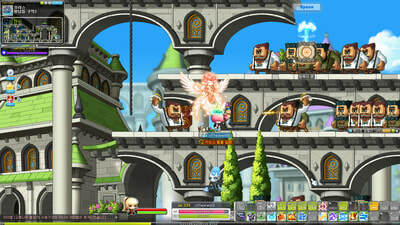 The Maple Achievement information is shared throughout the account regardless of world. Maple Achievements are organized into multiple categories. While some categories are currently empty, more achievements will be added in the future and the system will grow over time. 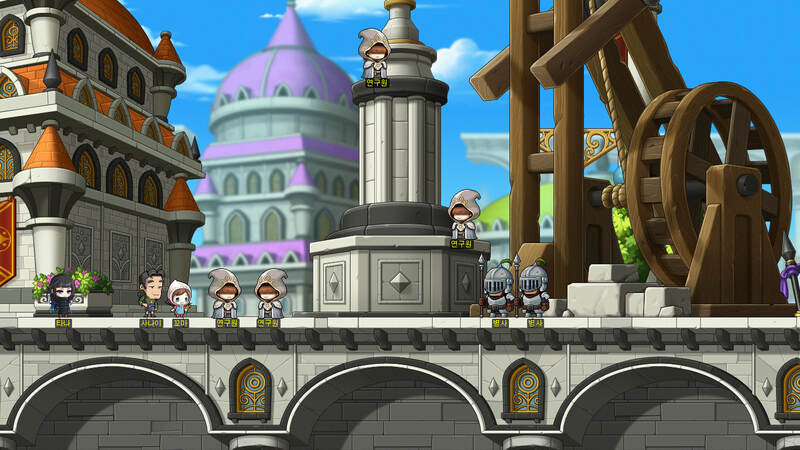 Categories include Level Up, Job, Item, Adventure, Battle, Social, and Event. Completing an achievement will grant you Achievement Points. Each achievement can give a varying amount of points (between 10 and 100, depending on the difficulty). Your total number of Achievement Points determines your Achievement Rank. This also grants you an Achievement Insignia. 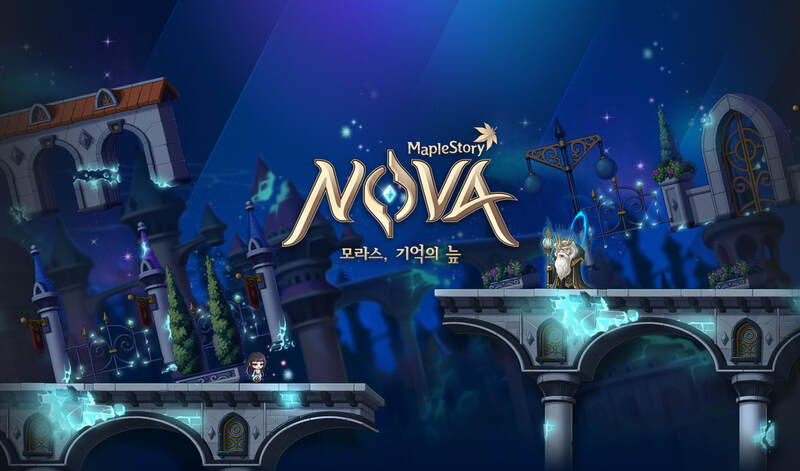 Players can pick which insignia they want to use and display their insignia to others by using the Maple Crest skill which automatically unlocks with the Maple Achievement system. The Achievement Ranking system is based on Achievement Points and will be updated every Monday. Please note the Achievement Ranking system will be unlocked in a future update. Achievements can be tracked under the achievement notifier by clicking the star icon on the achievement. Up to five achievements can be tracked using the achievement notifier. Some achievements may even give rewards once they are completed. Achievements which can no longer be completed will be moved automatically to the Memory category. Get ready to adventure deeper into the continent of Arcane River as you travel to Morass, the Swamp of Memory! This brand-new region is available to players Lv. 230 and above who have completed the questline in Arcana. Morass is a mysterious swamp that takes its appearance from the memories of the people who enter it. In this strange landscape you will encounter the mysterious Tana. Trapped within Morass, her memories have overwhelmed the area and altered the landscape. Delve into her memories to relive Tana’s story and learn the truth about Morass. 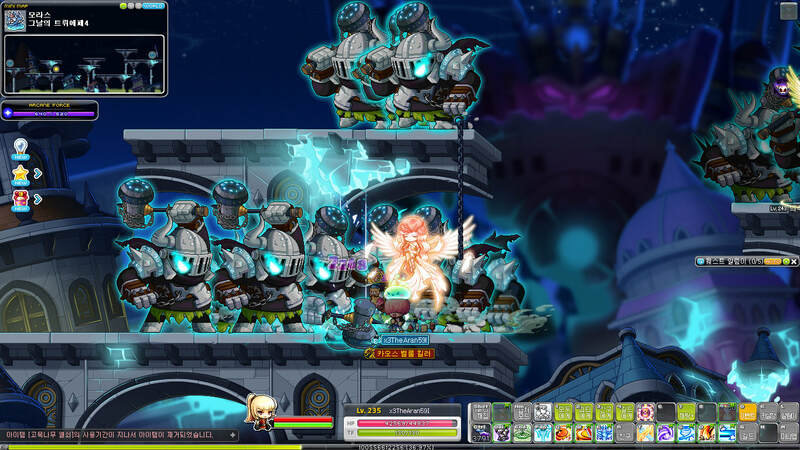 Popular boss, Papulatus, is getting an update! 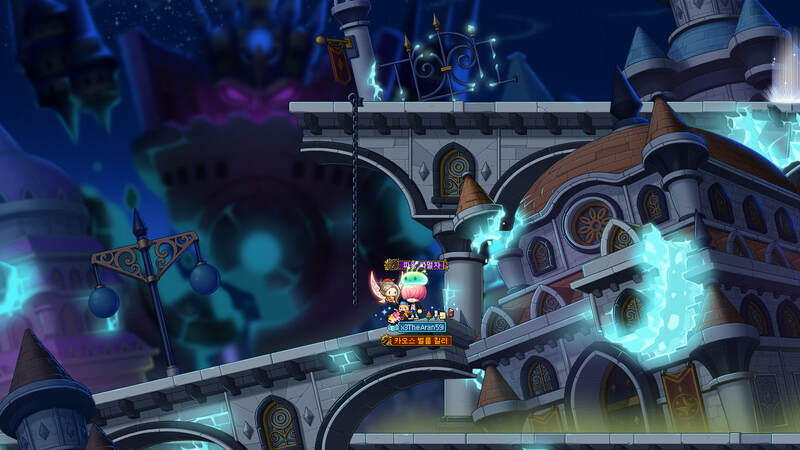 Visit the Ludibrium Clocktower where you can choose to fight Papulatus in Easy, Normal, or Chaos mode. 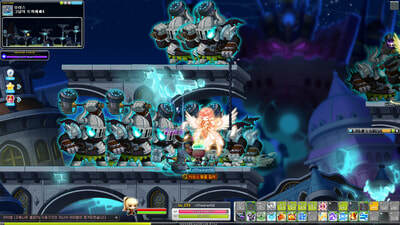 Each version of this classic monster is receiving new attacks to keep Maplers on their toes. Look out for new mechanics within the map, such as claw machines and lasers that may catch you off guard! 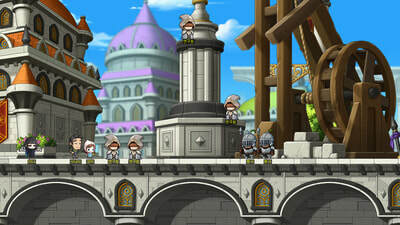 Defeat Papulatus to receive new rewards including Papulatus Souls and a Papulatus Clock Chair.